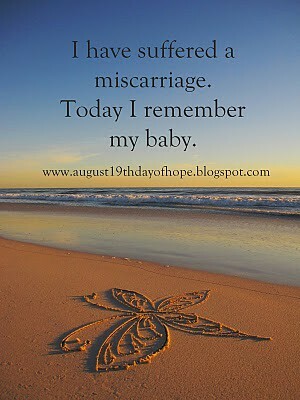 Today is the Day of Hope regarding pregnancy and infant loss, as hosted through this blog. It is an opportunity to speak up about a shrouded subject, one filled with speculation and uncertainty. It is not something that women should have to shield from one another, it is not contagious. Tony and I have been so supported through our experience with losing Josiah [or Josie]. Honestly, the love from others and gracious offers to get out of the house for distractions have always been in perfect timing. Some days though . . . I really feel like everyone just wants me to get over it and move on. What's a few months to wait? I don't begrudge people this attitude, as I haven't given many people reason to think that I haven't moved on. Poker faces aren't just for winning money. And I'm sure at some point, I will "get over it." The pain won't be as pressing. The EDD of February 21st will pass in 2011 and so many more to follow after it, and I wonder at what point I will forget? God willing, there will be another pregnancy and another child to help ease the pain, but I do say another child. Because that's what we lost, our child, someone who could have very easily looked just like Isaac or the exact opposite. Someone who may have had my blue eyes or again Tony's hazel. We didn't lose a few months. We lost our child to miscarriage and today I remember my baby. I have been praying for you guys, and I hope you know that while Im sure there are some who what you to 'get over it' they arent speaking for all of us. I cried when I read the news of the loss of your baby, my heart breaks for you, I cant imagine how your heart must hurt as well. Take as much time as you need, and we will all remember Josiah with you. this post brought tears to my eyes Leah! There should be no one rushing you to "get over this". My heart breaks for you. Know that Mr. A and I pray for you and Tony nightly. I love this post and had no idea that this day existed! I'm going to link your post and this blog to my post that I'm writing now. I'm still so very sorry for your loss and your pain. I'm glad that you are working through the pain and I hope that it gets easier to manage. It's not much fun, but it's our reality. Feel what you need to feel. Say what you need to say. Always. Thank you for posting this. Weird as it may be, I kind of enjoy being able to blog about our angel baby, Hope. I guess part of it is if I continue to talk about her, no one forgets her. And your EDD will be hard. But I think the fear that you anticipate before the day is worse. Just be with Tony and family on your EDD and it will help. I will keep you in our prayers!! You gave me goosebumps!! I continue to think of you and Tony. I loved your line - "Poker faces aren't just for winning money." So true!! I know so well the double effect of the poker face--people stop looking at you like they're sorry for you all the time, but they do also assume that you're "over it", even if you aren't. This is one of those ways that we are so alike. Just try to remember to let (a few) people in to what's REALLY going on. You're not expected to be healed already! Hugs and love leah. Love you! I just read a lot of the posts on the Facebook page for that blog and my heart just breaks for everyone who's suffered a loss, especially those who lost babies at such a late stage. I can't even imagine. Thanks for sharing this. I've always been open about my miscarriage, and I think people shouldn't be ashamed about it but instead be open and comfort one another.